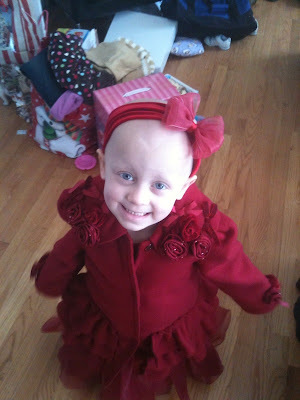 Elle is in her "off-week" of her Irinotecan treatment. 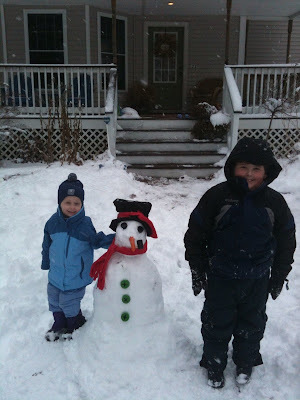 She finishes it next week and then has a CT scan on February 8 and a PET scan on the 10th. So fingers crossed... And she is handling it like a pro. As always, she is full of energy and never stops moving. It's an amazing thing to behold. 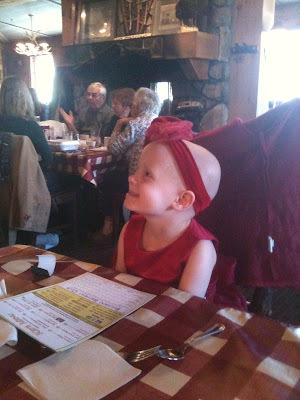 And finally we have Elle in her fancy dress and sporting the classy red bow as she orders steak at Bugaboo Creek.